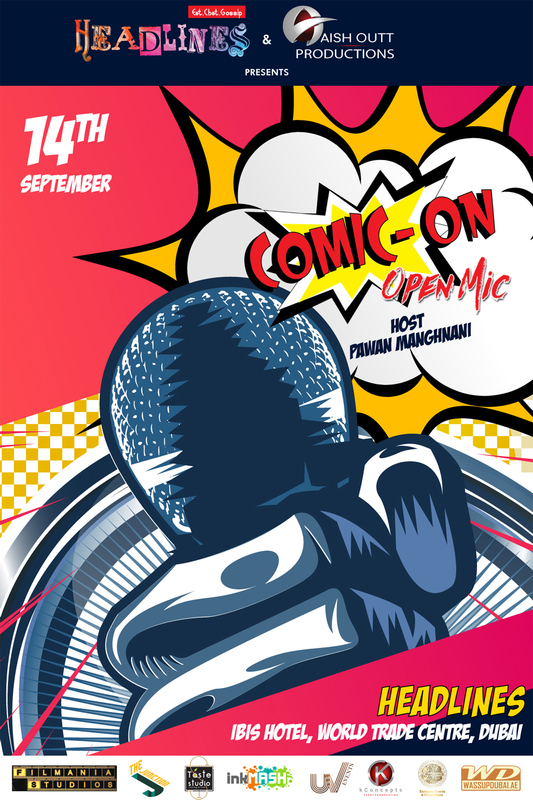 Aish Outt Productions proudly presents Comic On Nights Open Mic Contest on Friday 14th September 2018 at Headlines Cafe - IBIS Hotel, DWTC. Door opens 7 pm and show starts 8:30 pm. Hosted by Pawan Manghnani. Winners to open for Comic On Nights ft. Vipul Goyal. First Timers: 2 minute set. New Comics (Under 10 Shows): 3 minute set. Regular Comics: 5 minute set. All sets will be timed. Any comic exceeding their allotted slot will be disqualified. Open to all nationalities & languages. Each participant needs to get minimum 3 guests to the show to qualify for winning the contest. Free Entry but prior reservations recommended.